I visited this pub ahead of Worthing RFC's match at Henley. Firstly, an excellent lunch menu, I opted for Cassoulet with doorstep bread, at only £10, great value! However, the beer is a little more pricey! I had a Brakspear Top Notch @ 4.3% and my mate a Symonds Cider, £8.60! I should have doubled up on the Cassoulet! A nice pub however with friendly staff! 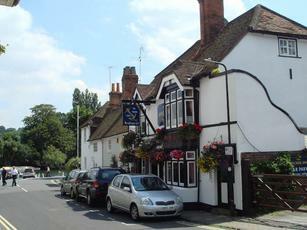 Visited this pub today as part of the 2013 Brakspears Henley Ale Trail. Whilst I like what the new Tenants have done to the Pub I do NOT like the fact that they are trying to recoup the costs from the punters. Today I have just been charged £3:80 for a Pint of Brakspears Best Bitter & £4:30 for a pint of Ringwood 49er, surely the dearest in Henley! certainly dearer than the previous dearest pub (The Angel). How can this pub be included on an Ale Trail at these prices? My Local Brakspears Pub only charges £3:35p a Pint. Sorry will not be going Back here!!! I visited the refurbished The Anchor in Henley recently with my wife and was delighted to have a welcoming drink and good food in a traditional pub setting with a warm fire on a cold winters evening. A bonus was the attached car park which is a scarce commodity in Henley for visitors to the area. Will definitely return soon, especially when the garden is open for business. Only a short walk to the Thames and town centre. 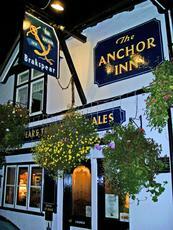 After many years of neglect The Anchor was opened again a couple of weeks ago. I decided to stroll along to see what all the buzz was about and WOW what a change. The warm staff greeting was the first thing that hit me but when I looked around I saw a modern, clean, fresh and warm layout yet still maintaining the feel of a proper local community pub. The bars and restaurant were both busy with the sound of conversation and laughter coming from all corners. Service was efficient and bar food top draw. I will definitely be going back on a regular basis and can't wait for the wonderful looking garden to be re-opened - weather permitting. Welcome back The Anchor. Popped back into this pub yesterday early afternoon, Henley itself was buzzing but this pub had one Customer (Regular), the Landlord who was slumped in an armchair in the corner (think he had been sampling his own stock all morning), and an aging (but very pleasant) barmaid. Only Brakspears bitter on, and was not much better than the Pint of last week. I do not think they sell enough.